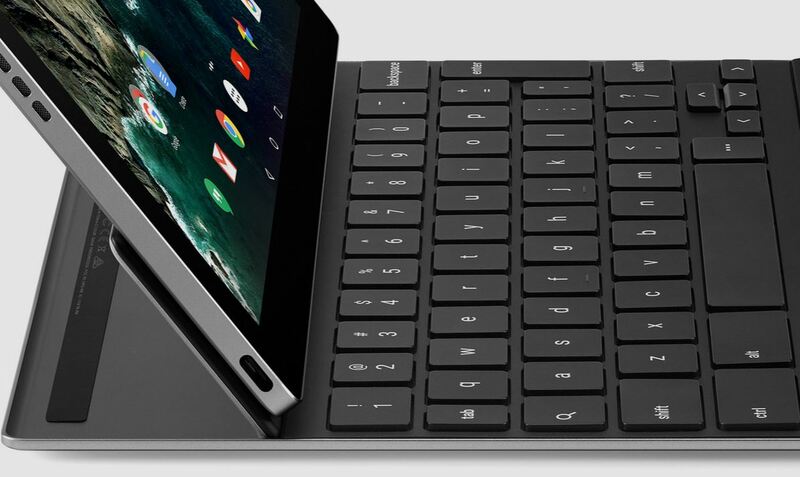 Google’s event today was jam-packed with news, but the biggest surprise was arguably the Pixel C – Google’s take on the convertible tablet form factor heralded by Microsoft’s Surface line and most recently seen in the iPad Pro. At first glance, it looks awesome. We already thought Google’s Pixel laptops were masterful hardware designs, and the Pixel C appears to continue that trend with its metal construction and 308 ppi, 500 nits display. Google flaunted its detachable keyboard as having similar travel to its full sized laptop. And the hinge mechanism looks to be just as flexible as the Surface Pro 3’s kickstand, while giving you the option to use the keyboard detached if you prefer. My colleague Lauren Hockenson came away impressed after her brief hands-on time, and it’s possibly the best-looking convertible tablet I’ve seen in a while. And yet, I’m not sure how useful it’ll actually be – and no, I’m not just talking about the lack of a stylus. While Chrome OS grows more competitive with Mac and Windows every day, Google’s choice to stay with Android is somewhat puzzling. Android simply isn’t a great OS for productivity on a tablet yet, even if I’m a huge fan of the convertible form-factor. Of course, neither the iPad Pro nor Pixel C have been released yet, so I can’t say for sure which will be better, nor how they compare to my Surface Pro 3. But software is an essential part of the convertible tablet experience, and right now it’s clear Android is lagging behind its competitors for getting work done on larger screens. With the Surface and Surface Pro 3, you get a full-fledged, flexible operating system that can run anything from Angry Birds to AutoCAD – made all the more useful since Windows 10. Meanwhile, the iPad Pro is backed by years of iOS software and unmatched developer support, and iOS 9’s Split View and Slide-Over features turned the iPad into a multi-tasking powerhouse. Slide Over allows iPad users to peek into another app without leaving the current one. Android tablet apps already lag well behind iOS, and while Marshmallow brings several welcome features, but these don’t greatly enhance the productivity experience on larger screen. Most notably, Android is sorely missing multi-window support, meaning you’re always forced to using one app at a time. Customization by Samsung and other third parties often add such features, but Google has always kept the software experience on its own devices as barebones as possible. Indeed, Google said nothing about any new features specific to the Pixel C. Given Android is often been seen as the mobile OS for tinkerers and productivity-minded people, it’s a surprise that Apple beat Google to the punch on some important multi-tasking features. That said, it’s worth noting that Google has been tinkering with multi-window support; you can modify some code in the Marshmallow Developer Preview to enable the feature in the settings menu. But Google has strangely yet to officially announce it. It’s possible we’ll see some new Marshmallow features in time for the Pixel C’s holiday release, but right now the Microsoft and Apple present more compelling options for getting work done, as pretty as Google’s new tablet may be.